The development of vision and mission statements at Joelton Middle Prep occurred on July 28, 2017. 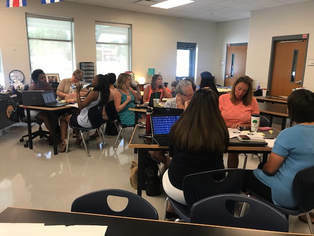 Dr. Margie Johnson used the collaborative inquiry process with the leadership team to develop draft vision and mission statements. These statements will be used to guide their work throughout 2017-2018 school year and beyond. 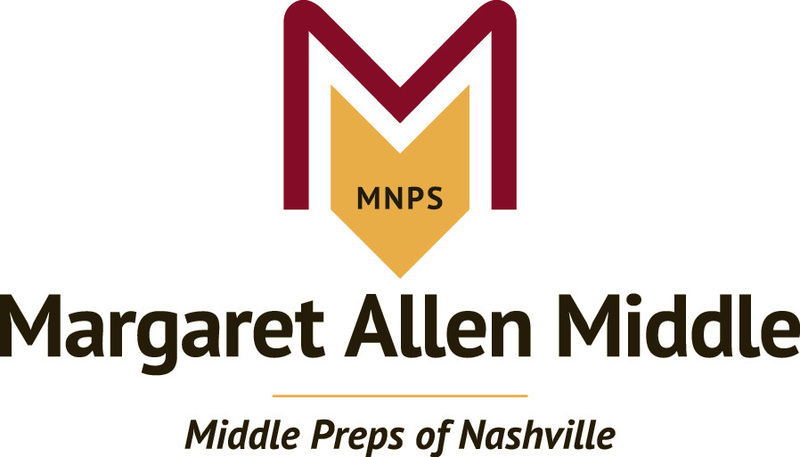 What is your vision for Joelton Middle Prep? Joelton Middle is a community committed to embracing diversity, encouraging social progress, and preparing all learners for any future life path they chose. 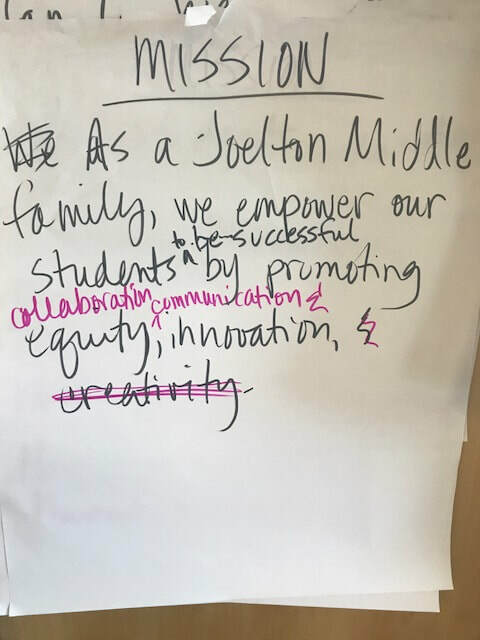 As a Joelton Middle family, we empower all students to be successful by facilitating opportunities for collaboration, communication, and innovation. 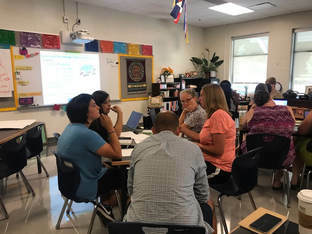 Plan a meeting with staff whether whole group or by grade level teams. 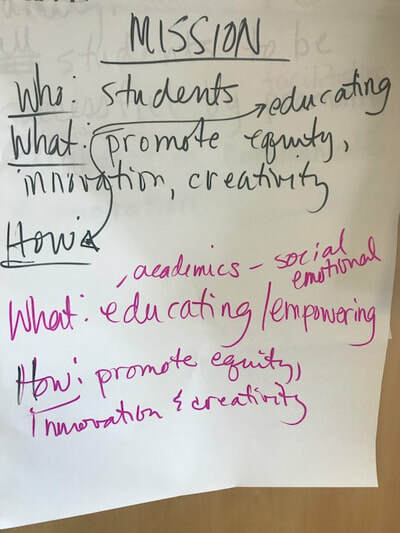 What is your vision for students here at Joelton Middle? 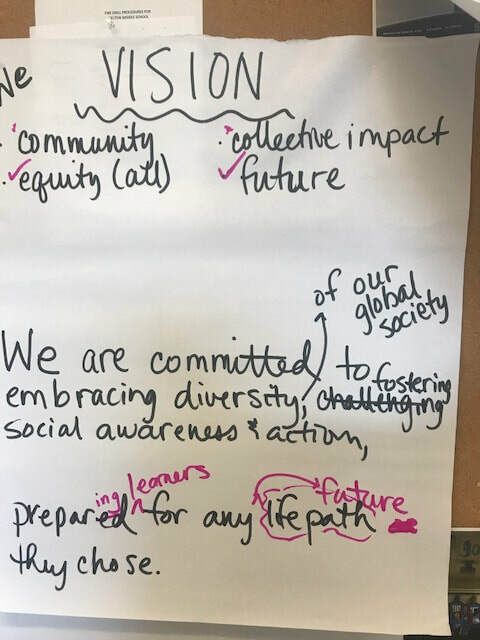 Present vision and mission statements. Assign groups of 3 and give each group a colored marker. Have them create a T chart for suggestions for changes and what does it look like in our school. 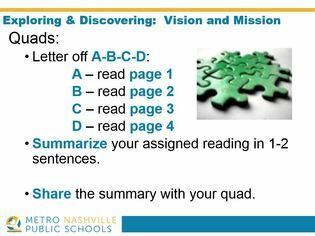 Share out the T-charts to compile ideas. Reflection: What actions might you take as a result of our vision and mission statements? 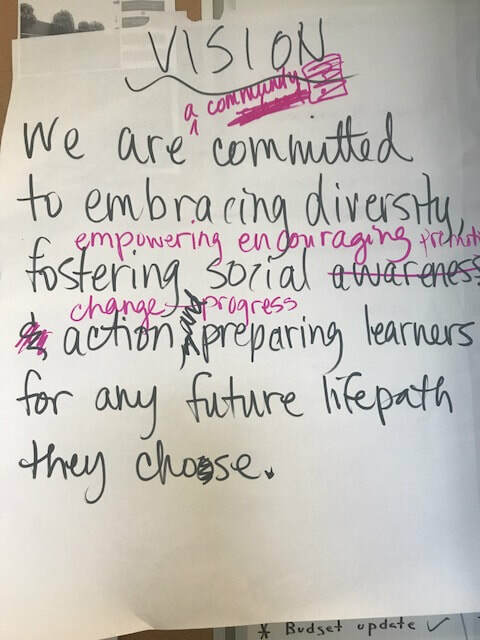 As a teacher, I will keep collaboration, innovation, and communication in all of my plans. As a leader, I will help motivate my co-workers to do the same.